A once upon a time partner can you break up with you leaving you feeling a host of emotions. You may feel lost, betrayed, sadness, confused, and even angry. Yet you will find it hard to let go of them. You might continue calling them, texting them, or visiting their home unexpectedly. Being crazy in love can often lead to the need of an antidepressant. And sometimes an addiction to an ex-partner can spiral out of control. The time frame can be 15 years of partnership or 5 months of companionship. Nevertheless, the hurt of losing them is still there. Heartbreak is an emotion that most of us will experience once in our lifetime here on earth. The earth is full of people. Society is everywhere unless you live on your own private island in the Bermuda triangle. It will be nearly impossible to not have at least one kind of relationship with another person. Loving relationships can range from family, friends, pets, or romantic too. Romantic relationships seem to be one of the most complicated bonds we form in our lives. Heartbreak really can hurt you. 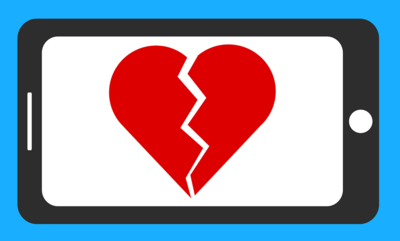 The article, ‘For Heartache, Take Two Aspirin and Call Me in the Morning’, reveals shocking scientific research on the topic of heartbreak. The participants in the study that were suffering from a broken heart due to a romantic breakup were given a brain scan. They were shown a photo of their recent ex-partner during the brain scan. They were also suffering from physical pain from another source. “During their physical pain, two brain areas became activated; the same brain areas were activated when they thought about being rejected and looked at the image of the person who had broken their heart”. This doesn’t mean that a person should drive to their nearest pharmacy for painkillers or risk developing an antidepressant addiction. Love is complicated. It is a chemical reaction in the brain. Plenty of men and women go through heartache. And many survive. There are ways to get over a bad heartbreak. Exercise is an effective way to get the happy chemicals flowing in your brain. Cardio exercises are especially beneficial for getting back happy again. Medical physicians often prescribe exercise to patients that are coping with mood disorders. *Disclaimer: Please consult with a doctor if you feel you are experiencing depression. Pick up a new hobby or resurge an old one instead of thinking about a rebound relationship. Learning how to paint, play the piano, or build Excel spreadsheets can take that extra energy and put it to good use. Mindfulness is simply being present. When you feel yourself becoming depressed or anxious over an ex-partner practice mindfulness. Focus on 5 things that you can sense at the moment. (the smell of hot coffee, the wind blowing through your hair, the sun on your skin, etc.). Focusing on the present will give your heart a break from a bad heartbreak.